You know what I really love about family history? The hunt. I'm drawn to genealogy as a sport hobby because of the dynamic challenge of contextualizing history and my ancestors' place in it. Sleuthing out historical records and reassembling a long-forgotten puzzle is an engaging detective game that demands mental acuity. It challenges me. I like that. Success - finding another link to my historical past - hinges on learning history, locating and interpreting records of the time, and stepping out of my 21st century mindset. Successful completion of one level ("I found my 2nd great-grandmother! "), like any good game, propels you to the next more challenging playing field ("What do you mean the courthouse records naming my 3rd great-grandmother were destroyed in a fire?!"). Sometimes, though, genealogy isn't challenging. I have this ancestor who is everywhere in the historical record and just lacks the luring excitement of what I find most entertaining about ancestor hunting. 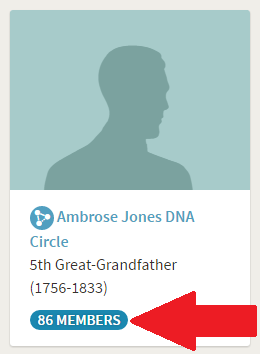 My fifth great-grandfather Ambrose Jones fought in the American Revolution. His service is to be commended and I count myself honored to be among his many descendants. But that's just it. There are many many descendants who have thoroughly documented his service and life. There's little hunt left to be done and I'm constantly reminded of it. For example, when I log into my preferred genealogy website, I can be sure that among the new hints vying for my attention are a handful for Grandpa Jones. When I review my new DNA matches, I have to trudge through an overwhelming abundance of cousins who descend from this single man. I'm regularly reminded of his prodigious progeny. Even Grandpa Jones' ancestral line allegedly connects me to a million other people. 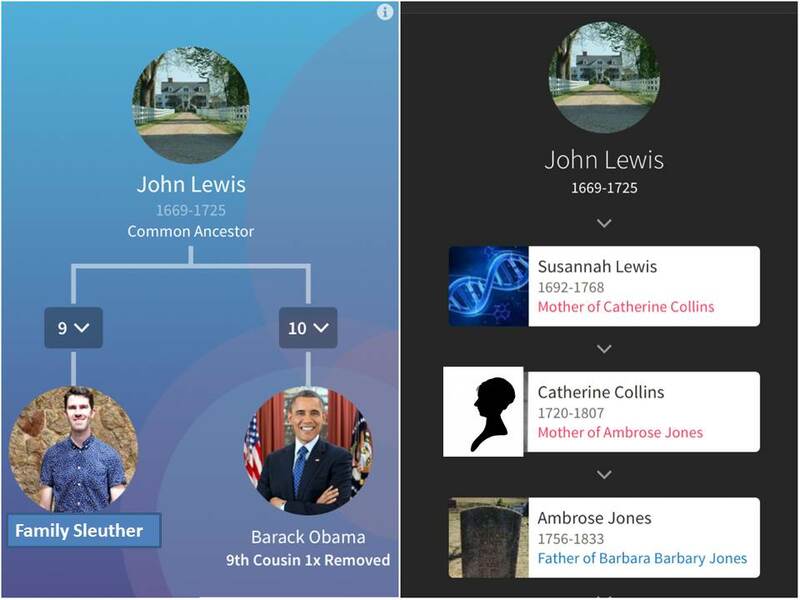 How fitting that Ambrose's purported great-grandfather John Lewis may link me to famous cousins. I know his life's story was amazing. So amazing a descendant wrote a book about it. I don't begrudge him that and I am glad for it. He presents no real genealogical challenge and is always around the corner with hints and DNA matches. When I'm struggling to piece together a slew of murky family lines in more recent history, I can be sure Grandpa Jones is ready to boast about his pervasive and ever growing presence. He's like the Charlemagne of my recent ancestry. Everyone can and does claim him. How about you? Who's your family's Charlemagne? Wow! 18 kids? Sounds like a prime candidate for your family's Charlemagne. Perhaps Grandpa Laurent and Jones will take 2017 off and share the genealogical wealth with some of our lesser-known ancestors. Captain Thomas Graves, Jamestown, House of Burgess, Williamsburg. Captain Graves sounds like a prominent man and, I assume, fantastic contender for your family tree's Charlemagne. 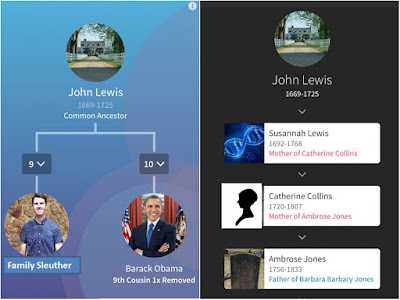 A relative newcomer to genealogy (only about two years) I have learned many things about my family searching my family tree that I thought I "knew" growing up. It turned out a lot of what I knew was wrong. Whether it was from my own misunderstanding (most likely) or from being misled, I do not know. But now, as I research my ancestry - without, by the way, the benefit of any documentation or living relatives - I have found those famously frustrating brick walls every genealogist finds. In fact, mine happen very close to my own past...my maternal grandfather. I thought he was from Ireland, an immigrant in the wave of Europeans who came to the USA in the early 20th Century. It turns out that is not true; I am beginning to find that he did have Irish roots, but most of his own ancestors - therefore mine, too - were born and raised here in the USA. I have not found where his Irish roots are planted yet. How far back, I have not validated yet. And with common names like John Burke sprinkled throughout my tree, figuring out who is who is my challenge. It is a challenge I accept and have grown to love, frustratingly difficult as it has been at times. Fantastic, James! Glad to hear you've taken on the challenge (it really is rewarding, isn't it?). Wishing you lots of success. You're absolutely right. There's no shortage of brick walls in my family tree. Every time I log into my online genealogy provider I hope for hints and DNA matches that will bust through those roadblocks only to find another morsel on Grandpa Jones. C'est la vie.